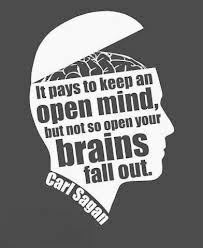 It's good to be open-minded and remember that you might be wrong. However, it's not really necessary to constantly re-evaluate whether you have the right to archate. I mean, if it makes you happy to keep ruminating on it, go ahead. But, just like you don't need to wake up each morning and test to see whether a dropped egg will still fall, you don't need to wonder if it's still not within your rights to walk around shooting random people or walking into their houses and taking what you want.